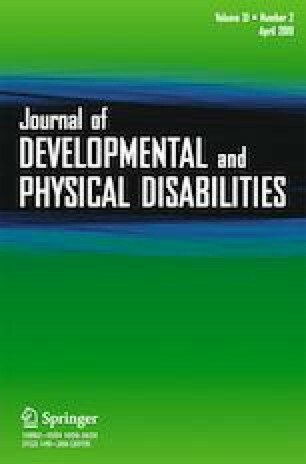 Erroneous perception of “disability” in typically developing children leads to the exclusion of children with intellectual disabilities in sport. Therefore, the present study aimed to investigate the effectiveness of inclusive soccer (INS) program on ameliorating adverse behavior in children with and without intellectual disabilities (ID). Participants were 40 children, with half having intellectual disabilities (n = 20). Both the experimental and comparison groups consisted of 10 children with and without ID, respectively. The experimental group participated in an INS whereas the comparison group participated in a segregated soccer program. The Withdrawn Behavior Checklist (WBC) and Social Distance Scale (SDS) were measured repeatedly for children with and without ID, respectively. A mixed-design ANOVA was conducted for data analysis. There were significant main effects on time, group, and interaction for both SDS and WBC of the experimental group, except between-group difference on WBC. The comparison group did not show any significant change. The social distance of children toward peers with ID and withdrawn behavior of children with ID have been reduced. The INS could provide benefits for the psychosocial development of children on both populations toward inclusion. We appreciate Jin Ho Ryu and Hee Joung Joung for helping us with participant recruitment and data collection. All procedures performed in this study were in accordance with ethical standards of the institutional and/or national research committee and with the 1964 Helsinki declaration and its later amendments or comparable ethical standards. The study was approved by Institutional Review Board in our university. All parents/legal guardians signed an informed consent form, and children assented.